Yachts, charter brokers, yacht managers, exhibiting vendors and non-exhibiting vendors: please register by May 22 for the Newport Charter Yacht Show presented by Helly Hansen to be included in this year's printed program which will be distributed to over 500 industry professionals. Dates for the four-day event, which welcomes registered and credentialed marine industry representatives, are June 19-23, 2017. The Newport Charter Yacht Show is the only one of its kind in the U.S. and will feature an exquisite collection of world-class yachts for charter. 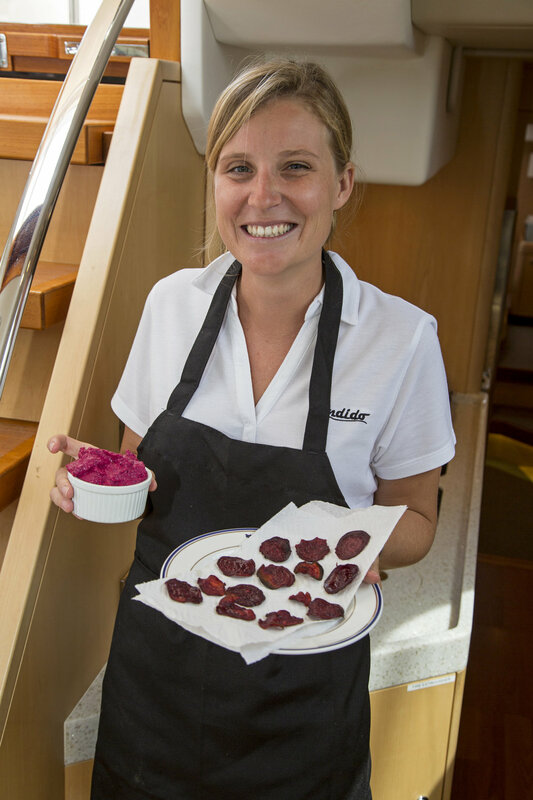 Chefs and interior crew aboard participating yachts will add zest to the show when they compete in three competitions organized by Winnie DeCoster of Captains' Concierge. On Tuesday, June 20th, chefs will contend head-to-head in a culinary competition which will be judged in the main tent starting at 1:00pm by a panel of culinary experts. Cloud City Drones will host a Captain's Drone Competition starting at 5:45pm on Tuesday, June 20th outside the main show tent. On Wednesday, June 21st, interior crew will compete in a tablescaping challenge which will be judged by local industry professionals and a prize will also be awarded to the 'fan favorite' voted on by charter brokers and other show participants. A signature cocktail competition featuring Keel Vodka will also take place on Wednesday, June 21st and will be judged by charter show participants throughout the day. Debuting at this year's Newport Charter Yacht Show, the Charter Yacht Brokers Association International (CYBA), International Yacht Brokers Association (IYBA), and American Yacht Charter Association (AYCA) will introduce their 'Designer Water' competition which will also be judged by charter show participants. All awards will be given on Thursday, June 22 at our closing cocktail party and awards sponsored by Ward's Marine Electric and KVH Industries from 5:30-7:30pm. On Thursday, June 22nd, the American Yacht Charter Association (AYCA) will host its Annual Educational and Informative Seminar, which will once again be emceed by Neal Harrell of Brooks Marine Group from 9 a.m. to Noon. There will be a breakfast and networking opportunity at 8:30am prior to the seminar. A speaker from Yachting Magazine will discuss trends in luxury travel; a representative from South American Super Yacht Services (SASYSS) will discuss yachting in Patagonia/Antarctica; and a representative from the New England Melanoma Foundation will give a health and well being presentation. The AYCA PR Committee is actively looking for sponsors, if you're interested in being part of this year's seminar, please contact PR Chairperson, Carol Kent, vacation@carolkent.com, 781-631-1800.